The Berlin fashion Film Festival (BfFF) has just released the names of their 2015 winners. 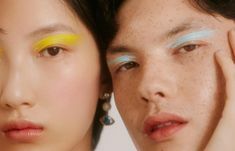 From the film, fashion and advertising industries, these creative videos marked the imaginary of viewers and consumers. 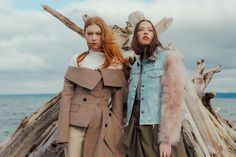 Since we are fans of fashion films, we decided to share with you the highlights of the festival and our favorite shorts. The short film won Best Idea and Best Major Brand – which is well deserved. We love the concept of foley artists working in a minimalist environment, executing an impeccable choreography synchronized with sharp imagery of COS products. This video directed by Berlin photographer and filmmaker Astrid Salomon won Best Cinematography. Starring Elena Bartels, “a model, who is tired of her daily life with casting visits, finds herself in a cloud of ignorance, boredom and superficiality, judged by weird creatures who live in an oxygen tent, to preserve their youth and their myth.” The originality of frame composition and the distinctive aesthetic of hair, make up and styling make this film a must watch. This Best Idea winner transcends the prejudices we may have about the actress featured in this Vogue.com production. Fifty shades of warm colors surround Dakota Johnson in this very retro/Old Hollywood setting, where a philosophical question about time is asked. Fashion brand Rhié has now become well known for its fashion films thanks to Ace Norton. Beyond the sharp editing and mansion setting common to their previous short, we must admit that the storytelling of this one is even more funny and quirky. We said it in 2014, and we say it again now: Crème Caramel’s sweet aesthetic is inspiring. The Barcelona collective won 4 awards – Best Fashion Film being among them.